From “Da Mystery of Chessboxin‘” to that 2012 Liquid Swords special edition chess set bundle, it’s not hard to figure out that RZA has an affinity for knights, rooks and bishops. The Wu-Tang Clan admiral has been playing chess, sometimes quite competitively, for many years, and now he’s found a way to use the check-boarded game as a means of giving back. 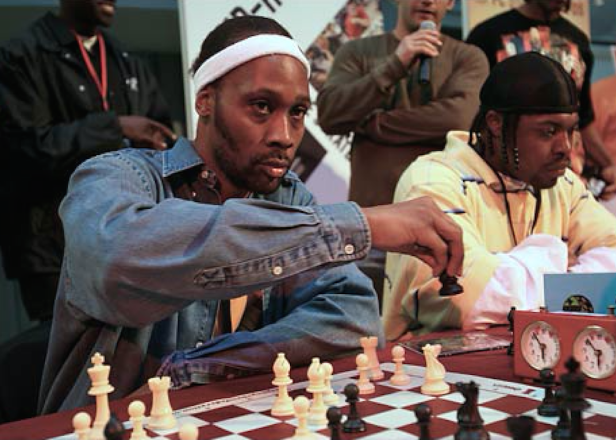 Earlier this week, RZA made a sizable donation to the Hip-Hop Chess Federation (HHCF), one which allowed it to establish a program that will help teach the game to juvenile hall inmates. The MC is also serving as a board member for the non-profit, which will work to bring “Chess and Life Strategies” to The Lou’s at-risk youth.